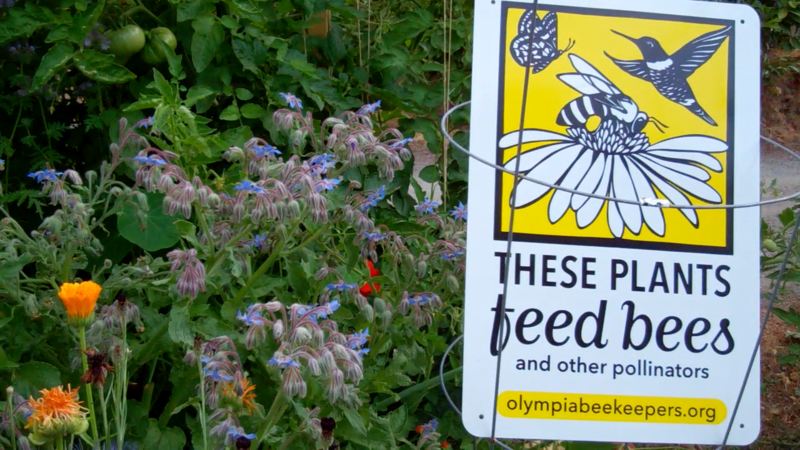 These folks know how to Bee a Pollinator! Roger and Kitty are exemplary ambassadors of public awareness for pollinators! 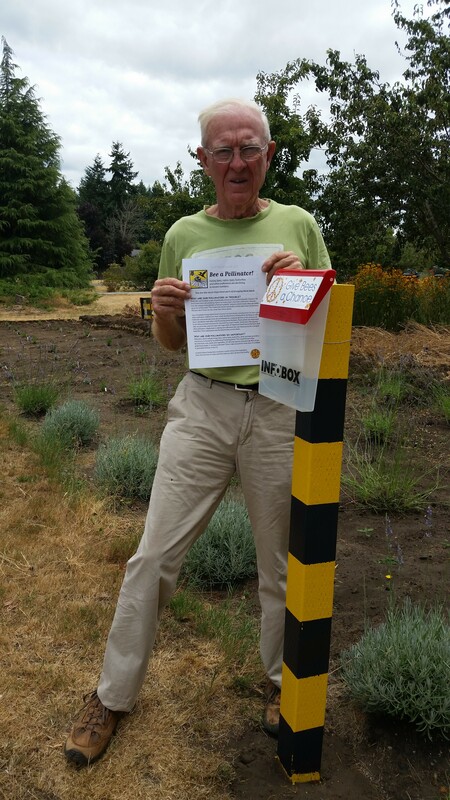 Not only did they install a beautiful bee-themed planting bed filled with flowering plants pollinators love, they went over the top with their custom-built post for holding information about the campaign. 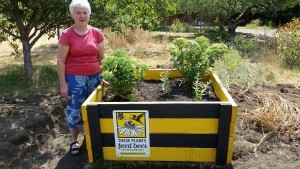 Kudos to both for an outstanding job and a beautiful way for their "These Plants Feed Bees" sign to be displayed. Thanks for being such great pollinators! And take a look below at a gorgeous garden bed filled with fabulous food for bees. This project represents the best of collaboration; the bed was built through a special Kitchen Garden Project from the wonderful folks at GRuB (http://goodgrub.org/ ). 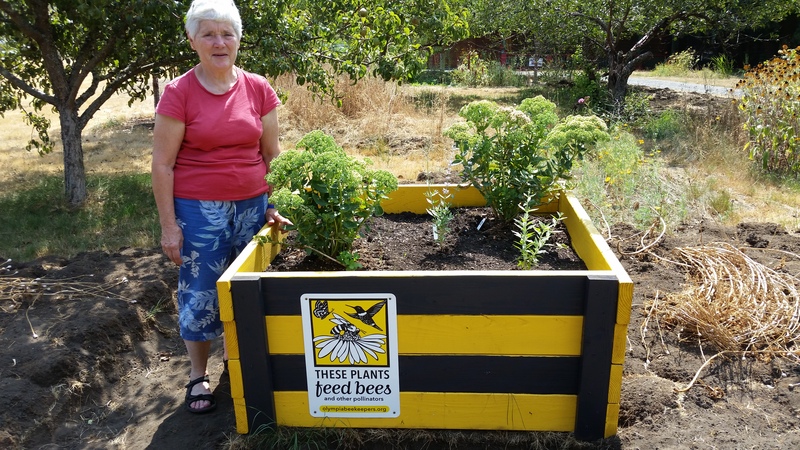 Laurie, the garden's new owner, attended the Pollinator Garden Dedication Event at Panorama in June, which inspired her plant choices for the bees. Abundant thanks to Laurie and GRuB for this gorgeous garden! 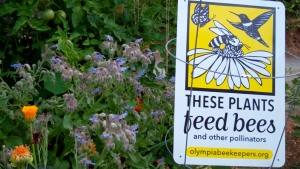 We love to see what you're doing to help bees. Keep the photos coming and thank you! Next Next post: British Beekeepers enlist Winnie the Pooh!